Perfect for Christmas! 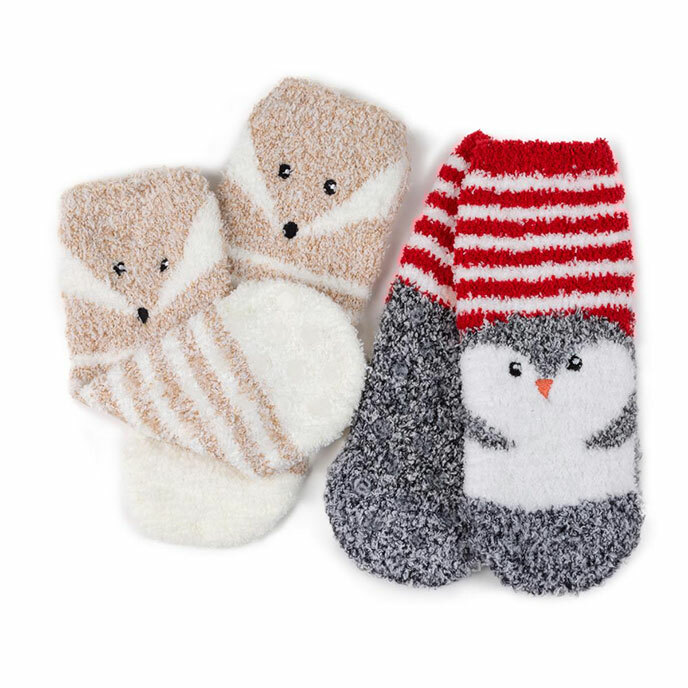 Our warm and cosy unisex kids slipper-sox are available in adorable Penguin and Fox designs, are super-soft and come complete with slip-resistant tread. Machine washable at 30 degrees. Wash dark colours separately.